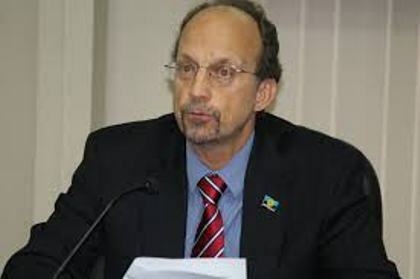 BRIDGETOWN, Barbados, Apr 5, CMC – The Barbados government says it will continue with its climate change agenda including pushing the concept of renewable energy despite the new position taken by the United States. Environment and Drainage Minister, Dr. Denis Lowe, reacting to a decision by Washington that climate change was a “hoax”; and President Donald Trump’s subsequent push for the revitalisation of the coal industry. Trump has also signed an executive order to restart the Dakota Access Pipeline. “The impact of that accelerated warmth of the earth, according to American environmentalists, is the Michigan coastline, Lake Michigan. Evidence has been produced to show that the impact of climate change has affected that whole sea board area, including the erosion of beaches along the Illinois Coast. This is a fact as reported,” Lowe said. 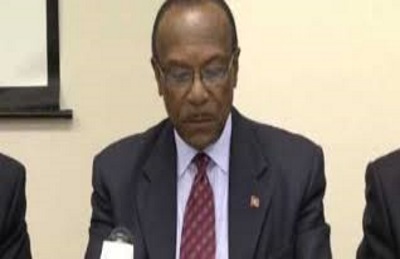 He cautioned that the new US position spelled “bad news” for Barbados. “To suggest that the coal industry is a major driver in the creation of jobs is to perhaps not understand that coming along with the coal industry is a whole plethora of perils, some of which are health-related, most of which is the threat to our environment,” he said. Lowe told the Government Information Service (GIS) here that the new position could result in a significant reduction in funding from the United States to the United Nations system, which was the primary driver of climate change. However, while he did not suggest that funding would be discontinued, Lowe stressed that Barbados could not allow itself to be “hemmed in” by what might or might not occur relating to international funding. He gave the assurance that the Barbados government would continue “to plough” ahead and look for unique ways to fund the island’s coastal rehabilitation green energy programmes. “We stand ready to do what needs to be done. Our Ministry continues to work with our stakeholders to look for ways to continue to press ahead with our climate change agenda. “We ask Barbadians from all walks of life to assist us in adopting and practising habits that would reduce the impacts of climate change on us as it relates to our water supply, our conservation effort, and our preservation efforts in terms of our spaces around the island that would be of importance,” Lowe said. ST. JOHN’S, Antigua, Apr 5, CMC – Antigua and Barbuda says the Paris Agreement must become the cornerstone of advancing the socio-economic development of countries worldwide and urged further action to deal with the impact of climate change. The Paris Agreement, entered into force in November last year, brings all nations into a common cause to undertake ambitious efforts to combat climate change and adapt to its effects, with enhanced support to assist developing countries to do so. The Paris Agreement’s central aim is to strengthen the global response to the threat of climate change by keeping a global temperature rise this century well below two degrees Celsius above pre-industrial levels and to pursue efforts to limit the temperature increase even further to 1.5 degrees Celsius. Addressing the 16th meeting of countries participating in the Cartagena Dialogue for Progressive Action that ends here on Wednesday, Environment Minister Molwyn Joseph told delegates “as a nation to we have a lot to lose. “We must embrace the thoughts that we have within ourselves, we have the capacity to ensure that the Paris Agreement serves all the future of all nations and that the Paris Agreement becomes the cornerstone of advancing ourselves economically, socially and otherwise”. The meeting here provides an avenue for countries to outline their respective positions and to explore areas of joint action on climate change. Joseph told the 60-member delegation that countries that are financially able to assist smaller member states in the fight against climate change should do so. 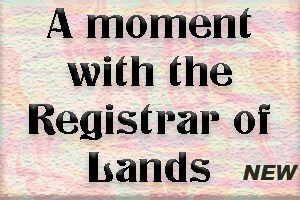 “Is for those of us with more advance institutions to seek to be of assistance to other countries. Antigua and Barbuda is the first and currently the only country in the Eastern Caribbean to have achieved accreditation to the adaptation fund. “We have decided as a member of the Oragnisation of Eastern Caribbean States (OECS) to use this status, not only for our own advancement of the other members of the sub-region. “I would like to encourage other countries which have strong institutions to take up the challenge, in not only seeing how to combat climate change locally and internationally, but where possible taking regional and global approaches,” Joseph said. 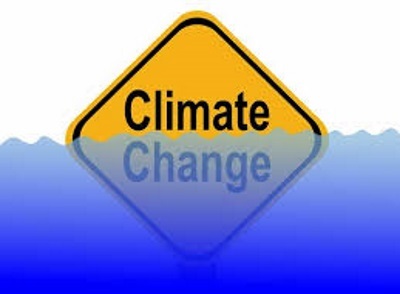 PORT OF SPAIN, Trinidad, Apr 4, CMC – A three-day conference examining the impact of climate change and the risks to human health will be held in Guyana later this month, the Trinidad-based Caribbean Public Health Agency (CARPHA) has said. CARPHA said that in recent years, the region has experienced more frequent and intense storms and hurricanes, increases in mosquito-borne diseases, rises in sea level, prolonged periods of drought which pose a significant threat to human health. “Implications of rising sea levels, impact of climate change on food security and health, as well as tobacco use among Caribbean youth, transgendered health, obesity, cardiovascular diseases, and Zika are among the public health issues that will be addressed at CARPHA Annual Health Research Conference in Guyana from April 27-29. The Conference, now in its 62nd year, will be held under the theme “Climate Change, the Environment and Human Health” and will feature an expert panel on climate change and health. “This meeting is expected to deliver a roadmap for how the Region should tackle issues related to climate and health,” said CARPHA executive director Dr James Hospedales, adding that the conference is the major forum in the region where health researchers share and promote ways in which evidence can be used to improve people’s health and prevent death and suffering. He said that it also provides a training ground for young researchers. The conference will host a series of events including a grant writing and implementation science workshop, a stakeholder policy dialogue, and a seminar on health diplomacy for Caribbean chief medical officers.